Our super high output snow machines will produce lots of artificial snow at your next holiday party or event. The fake snow will go flying out of our artificial snow machine and shoot 30 to 75 feet in the air. 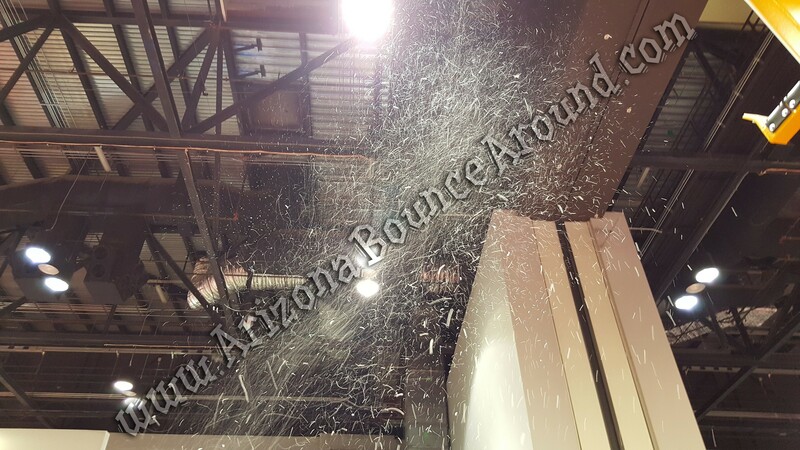 If you're looking for artificial snow for parties and events then you just found the most powerful artificial snow blowing machine in Arizona so be sure to check out the video below. Our snow fluid is sold for $7.99 per liter and not included in the rental price. We also sell our snow fluid in 5 liter bottles for $32 or 20 liter bottles for $119.00. 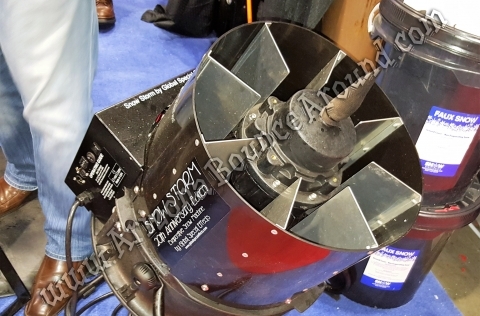 It may be better to buy the snow fluid in bulk for this high power snow machine. This artificial snow machine will use around 8 to10 liters of snow fluid every hour.